Back on February 14, 1977, Al Hill kicked off his big-league debut as a member of the Flyers, by setting a record. He scored two goals and added three assists for a total of five points—the first time this had been accomplished in a skater’s first game in the NHL. 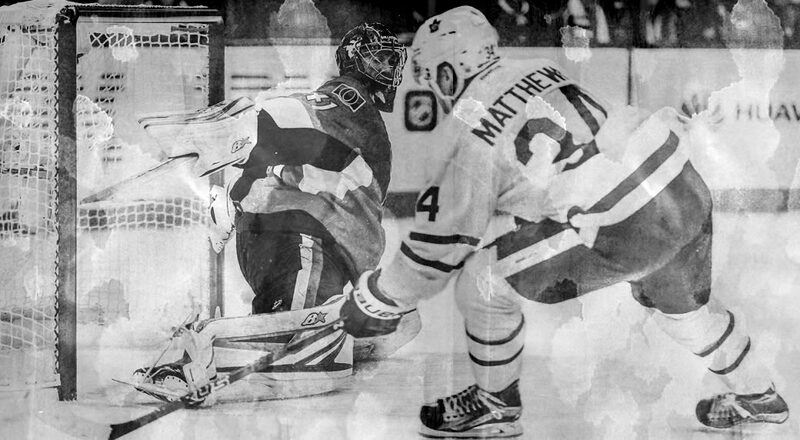 In more recent memory, the Maple Leaf’s rookie, Auston Matthews, pumped four pucks past Ottawa’s Craig Anderson in his first match, on October 11, 2017. This was also a record—or, more precisely, a “modern day” record. In 1917, the NHL’s inaugural season, Harry Hyland and Joe Malone both tallied five markers in their initial campaigns. But, as Andrew Podnieks points out, these pucksters were anything but rookies. The former had been a pro for nine years, and the latter had two seasons under his belt in the NHA, the forerunner of the NHL. But over the years several pucksters may actually have upstaged these skaters in a somewhat different scenario, by scoring during their first shift of their first game in the Big Time! This accomplishment by at least 24 players, whose names appear in the records of the world’s premier circuit, are so unique that their three-fold firsts cannot fail to stand out in the game’s archives. With the increased ease of gaining information on the internet, the records of players who have managed this feat in the New Millennium are readily available. For instance, there are no less than 17 hits profiling Jake Guentzel’s exuberant crashing the shinny scene on November 21, 2016. He was called up to the Penguins earlier that day and inserted in the lineup against the Rangers. At 1:02 of the opening frame he took a pass from Phil Kessel and fired a low shot past the Blueshirt’s Antti Raanta. Just for good measure he added a second marker later in the period. The Canadiens’ Daniel Carr had already set the pace for modern rookies, by turning the trick on December 5, 2015. He had been promoted to the parent club on November 29, but it was a week before his big chance came. He stepped into action as a member of the Hab’s fourth line; and at 2:44 of the first period he circled the net to slide a wrap-around tally past the Hurricane’s Cam Ward. Brock McGinn was successful in his initial visit to the Big Time on October 16, 2015; Nikita Kucherov pulled it off on November 25, 2013; Luca Caputi managed it February 3, 2009; Rick Rypien did so on December 21, 2005; and Denis Hamel started off the year 2000 with a bang at 2:09 on January 6—to name a few. But headlines of this sort are harder to track previous to the tense moments commonly referred to as Y2K. Few forward lines have made the kind of impression Toronto’s “Kid Line” did, once they were thrown together for the 1929-30 schedule. “Gentleman Joe” Primeau was the pivot, “Busher” Jackson dazzled at left wing, and Charlie Conacher patrolled the starboard side. However, the latter’s numero uno shift in his first game with the Leafs came as an unproven relief player. He jumped on the ice, sailed down his right wing, took a pass from Pettinger, walked around the defenseman, and smoked a sizzler past Charlie Gardiner—his first goal in first chance as a pro. A number of NHL’ers have either changed their surnames after they entered the loop—often to spare announcers and reporters grief in pronunciation and/or spelling—or had the switch made by their parents previous to their shinny careers. One them was a young man by the name of Gus Bodnarchuck, whose name in hockey lineups appears as Bodnar. He was called up by Toronto from the Fort William Rangers in time for the 1943-44 season. On October 30, 1943, while still only 18, he was sent out for the opening face-off against New York. “Before I knew it”, he testified, “I was going in all alone on Ranger’s goalie (also playing his NHL first game)—I beat him!” Only 15 seconds had elapsed. The record still stands—the fastest goal by a player in his first game. Still another QueenCity chattel made the best of an original chance to impress the powers-that-be. Les Costello, who later became a priest, and, among other accomplishments, organized the famous “Flying Fathers” charity-raising sextet, was elevated from Pittsburgh Hornets on April 3, 1948, for the final game of the semi-finals against the Bruins. One player who did not change his handle when graduating to the Big Time was Ed Kryzanowski. Recovering from an injury, he did not see action in the 1948 opener with Boston against Toronto (though he dressed), but was inserted in the lineup for the October 20 tilt against Chicago. It wasn’t until the third period that coach “Dit” Clapper sent him in to sub for defenseman Pat Egan. He no sooner was over the boards when centre Milt Schmidt slipped him a pass as he took off for the Blackhawk cage. As he stepped over the opposition blueline, he let a 40-foot sizzler go, which beat veteran cage cop, “Sugar Jim” Henry. His very first shot was one for him to remember! The Boston Bruins called up “Buddy” Boone to the big club for the 1957 playoffs. He was listed on the roster for 10 games, but it was reported he actually saw ice time in only four of them. In the final match of the semi-finals against Detroit, he was on the ice for one minute. He scored during those 60 seconds and earned the nickname “Minute Man” because of that unusual feat. Norm “Red” Armstrong is hardly a household name in hockey circles. A stalwart with the Sudbury Wolves of the EPHL, he got into seven games with the Maple Leafs during the 1962-63 campaign—recording one goal and one assist. That tally was of the rare variety profiled in this missive. It was on December 15, 1962. Minnesota North Stars Bob Barlow was a little long in the tooth to making his initial appearance in the NHL. But that was the scene on October 11, 1969. He was pleasantly surprised when a Philadelphia penalty prompted a power play—and Coach Wren Blair sent him out for his first shift. Within eight seconds he had deposited the disc behind Bernie Parent. All hockeyists who pulled off this coup de grace did not necessarily turn out to be prolific scorers in the world’s premier loop. Rick Kessell made his mark in Junior, yet only managed four tallies in 134 NHL contests. But his first came at 2:19 of the first period—the first goal of the game, giving the Pittsburgh Penguins an early 1-0 lead on March 21, 1970. His skates barely touched the ice when he dented the strings behind Chicago backstop Gerry Desjardins. Assists went to Glen Sather and Nick Harbaruk. Buffalo rookie, Danny Gare, came close to equaling Gus Bodnar’s record on October 10, 1974. He was a starter in that match against the Bruins, and made the best of it on his initial turn on the ice. 18 seconds into the game he popped the disc behind Gilles Gilbert, to become (at that time) the second-fastest first-game skater to manage that accomplishment. If one mentions Dave Cressman’s name to the average fan, he is likely to ask: “Dave WHO?” In 85 games with the Minnesota North Stars he managed a total of just 6 goals. Had it not been for the “North Star Notes” in the April 11, 1975 Hockey News, it probably would have gone unnoticed, that he managed this noteworthy trick. But the paper’s correspondent noted that he was called up for the March 23rd match against the Islanders, and lit the lamp on his first shift, adding his name to this select group of NHL’ers. Tony Currie would never be classed as a prolific goal-getter. But he won’t forget his first tally. He did well in the old CHL, fooling minor league goalies with 33 markers. Called up to the St. Louis Blues, his first shift against the Penguins on February 21, 1978 was early in the second period. In no time at all, he had planted the old boot-heal behind Dennis Herron. He would total 91 more goals in 290 games in the Big Time. When Eddy Beers was promoted from DenverUniversity to the Calgary Flames in March of 1982, he brought with him the reputation as a natural goal-scorer, with soft hands. He made the most of his first match with the big club—at 1:45 of the initial frame--scoring the only NHL goal that season in his five contests at that level. It was St. Patrick’s Day, and the luck of the Irish was with him. He took his first shift and promptly put the puck behind Lessard in the King’s net. He later managed 36 goals in his first full season in Calgary. With the Vancouver Olympics still fresh in mind, from a reasonably long list of other skaters who have scored for the first time during their first shift of their first game, Dave Christian comes to mind. 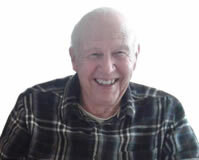 It is interesting to note that his father, Bill, and Uncle Roger, were key members of the American 1960 Gold Medal team. And 20 years later, Dave himself duplicated the family honour as part of the “Miracle on Ice” 1980 USA squad. A week after that triumph he joined the Winnipeg Jets—and managed this feat almost before the ice was dry after flooding—on March 2, 1980. Mario Lemieux, who simply bristled with natural raw talent, may be better remembered for his unusual accomplishment on December 31, 1988. That night he scored goals in 5 different ways: with his team at full strength; on a power play; short-handed; on a penalty shot; and into an empty net. But his October 11, 1984 debut with the Penguins was marked by his taking charge immediately, with an unassisted tally. His skates barely touched the ice when he stripped the puck away from All Star defenceman Ray Bourque, made a B line for the Bruins’ net, deked Pete Peeters out of his braces, and tucked the puck into the cage. He would repeat lighting the goal lamp 689 more times before he hung up his blades for good. At his retirement, Kevin Stevens left records as an NHL left winger. He had two 100-point seasons, scoring over 50 goals in each of those campaigns. It all started on March 1, 1988, having just become a member of the Penguins, joining the team for the balance of the schedule. At 4:29 of period number one, he beat Minnesota’s Don Beaupre—his first goal, on his first shift, in his first game. His career was greatly curtailed as the result of a devastating collision with Rich Pilon on May 14, 1993. Considered the best 20-year-old hockey player in the world at the time, it cost him dearly to defect to the free world. His parents and older brother lamented his daring decision, and his government labeled him a traitor. Lonely, unfamiliar with the English language, a victim of harsh accusations—yet, on October 5, 1989, with all that prevailing against him, within 20 seconds he had fired the puck behind a startled Stéphane Fiset of the Quebec Nordiques for his initial tally in the Big Time. Like a baseball player hitting a home run on his first at bat in the majors; a bowler getting a strike with his first ball in a tournament; or like a golfer managing par on his initial hole on the links—scoring the first goal in the NHL in the first match, on the first shift on the ice—is an accomplishment to cherish—whether a skater never plays another game, or sets a record for contests played.